What exactly are Tax Liens and Tax Deeds? If a homeowner doesn’t pay their taxes, a Tax Lien is placed on the property. The Tax Liens are sold to investors who can earn 5-18% annually in FL and up to 24% in some states. We’ve bought tax liens at 18% without competing against other bidders. If the homeowner doesn’t pay off the taxes within 2 years, they risk losing their property at the Tax Deed auction. At these Tax Deeds auctions the winning bidder gets immediate possession of the property however the title is not yet marketable by title insurance standards. This is there the ‘title rehab’ as I call it begins to get marketable title. 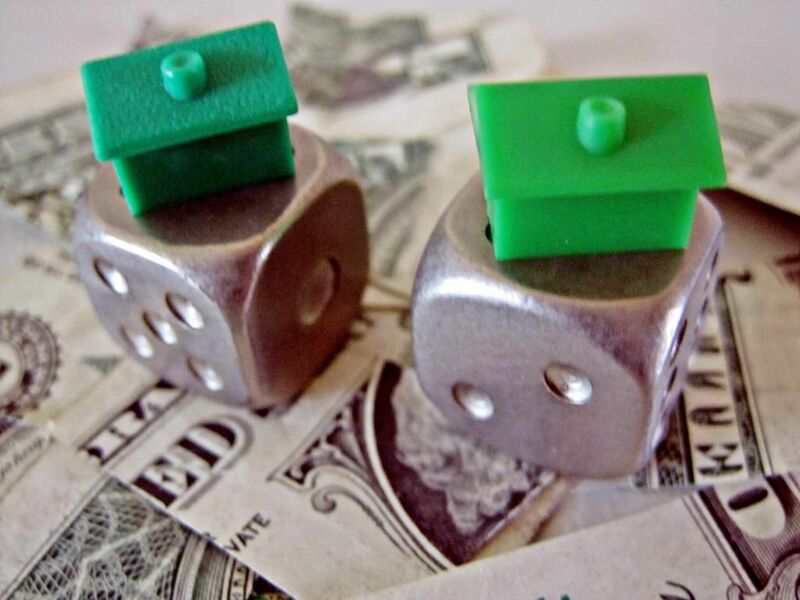 As an Investor, you can buy either the Tax Lien or Deed. Tax Lien auctions are held once a year in Florida (in May). Meanwhile, you can buy the actual properties at the Tax Deed auctions year round. After the sale is over there are more ways you can still turn a profit such as a $40,000 payday two of my students got without having to purchase the property. I’ve been investing in for more than 10 years. Four times a year, I take about a dozen students to a Tax Deed Auction and then spend two days teaching them all they need to know to be successful at Tax Deeds & Liens. As a CFRI member you have a chance to join us on the 2 Day Tax Deed & Lien Field Trip at a discounted rate. Back to Marketable title, not only is it important when you are buying tax deeds but it is also essential in all facets of real estate regardless of the way you are purchasing the property. People outside the Tax Deed business might tell you that you cannot get clear or marketable title on a Tax Deed. Truth of the matter is that not only can you get marketable title on a Tax Deed… but there is more than one way to get it! Black’s Law dictionary defines marketable title as ‘a title that a reasonable buyer would accept because it appears to lack any defect and to cover the entire property that the seller has purported to sell; a title that enable a purchaser to hold property to sell; a title that enables a purchaser to hold property in peace during the period of ownership and to have it accepted by a later purchase who employs the same standards of acceptability.” The same dictionary defines clear title as ‘a title free from any encumbrances, burdens or other limitations.’ An encumbrance is a fancy word for a lien. Although a property can have a lien, like for mortgage or tax lien, that lien will not prevent the transfer of the property. It’s important you learn what the various liens are and how it will affect your title’s marketability. I am not an attorney and this is a subject you may want to discuss with your title company or attorney howeverI think the most important title is one that is marketable title. Marketable title means title companies will offer title insurance after they have reviewed it. Clear title is not always available because these days many properties have encumbrances such as a homeowner’s association restrictions, condo association restrictions or easements etc. Almost all title policies have exceptions on the policy due to that fact. 1. One of the methods that is sometimes used is through the previous property owners. You can get clear title to a piece of property you bought at a Tax Deed sale by getting in touch with the previous owners. That’s right those same people who lost the property at the Tax Deed Sale. They may or may not be willing to work with you, but you won’t know unless you contact them. When you do reach these people you’ll have to make it advantageous for them to help you. That simple move of contacting the previous owners can save you thousands of dollars in legal fees and court costs. Not only will it save you money but it can also greatly reduce the time it takes to get marketable title. I can show you what you need to have those previous owners do to give you the marketable title and what you should say to them. But hold on, there’s more that you need to know before you reach out to the previous owner(s). Working with the previous owners only works in certain circumstances. What are those circumstances? And can you find out if the property you are interested in is a good candidate for working with the previous owners? Yes, you can know before the auction if that particular property will be a good candidate for working with the previous owners. In the long run, this will save you thousands of dollars. 2. File a Quiet Title suit to get marketable title. The Quiet Title suit is the court’s way of verifying that the County Clerk correctly administered the Tax Deed Sale. During the Quiet Title the court verifies that all property owners and lien holders were properly notified. If all goes well it can take 3 months. An action to quiet title is a lawsuit brought in a court having jurisdiction over land disputes, in order to establish a party’s title to real property against anyone and everyone, and thus “quiet” any challenges or claims to the title. Black’s Law Dictionary says this legal action is “brought to remove a cloud on the title so that plaintiff may forever be free of claims against the property. This is one step you do not want to take lightly. You HAVE to pick the right attorney to do a Quiet Title. That means you pick an attorney that has EXPERIENCE doing Quiet Titles. Quiet Title Suits are one of four methods to get marketable title. Title companies will not insure a property unless it has marketable title. It is very difficult to sell a property if you do not have marketable title. Quick Tip: First things first you need to start marketing the property if your intentions are not to keep the property. Don’t wait until the title is marketable to start marketing, you have to start your marketing like yesterday. The property can go under contract while the Quiet Title is underway or even before the Quiet Title and just set the closing until after the Quiet Title is complete. If you intend to keep the property you can concentrate on just the Quiet Title. Let’s say you don’t know any attorneys in your area or you didn’t buy the property anywhere near your region of the state. Using the right attorney is about 80% of getting a Quiet Title completed successfully. 80%, that’s a pretty high number… so you can see how significant this step is to be successful. How do you find a QUALIFIED attorney to do the Quiet Title? The emphasis is on ‘QUALIFIED’. No matter where you are the answer can be as close as your fingertips… literally. I’ve got your attention now don’t I? I will show you how to find some of the best attorneys out of the newspaper’s legal notices. On the Queen Of Tax Deed’s 2 Day Tax Deed & Lien Field Trip you will have an opportunity to learn about additional ways to get marketable title during my 2 Day Tax Deeds & Liens Field Trip. Remember when you are buying at the auction, there is no Inspection Period so all of your homework must be done prior to purchase. On the 2 day Field Trip you will learn how to do your Due Diligence, Tips and Tricks; mistakes to avid and more. Best of all once you sign up, you can repeat the field trip anytime you want and as many times as your want for FREE* (you pay approximately $39 for copies and refreshments). You also will receive a 2 manual home study course that contains documents you will need and 7+ hours of audio instructions. Sign up now, this class fills up at 12 people.